Jason SurfrApp is the founder of IWearYourShirt and author of Creativity For Sale. Want to read more of his writing? Go to MoreJason.com. Throughout 2010 fatigue started to set in. I started to have trouble sleeping. I started to have a hard time thinking up creative ideas for my daily videos. I missed out on some big opportunities because I didn’t have the creative energy to respond to yet another email. I got really bad at juggling life and work. I’m honestly surprised I was able to keep it all together. In 2011, I made the decision to remove one day each week from the IWearYourShirt calendar (Saturday). Removing Saturdays meant I would lose around $35,000 in revenue. That’s not an easy pill to swallow, but I knew I couldn’t continue working myself to the bone for another 365 days straight. While that one day off a week was helpful, the damage was already done. I couldn’t recharge my batteries completely on one day per week, especially after 730+ days without a break. Plus, those Saturdays became an attempt to try to get ahead of the game, so I ended up working anyway (ugh). This trend continued until 2013 when I simply couldn’t do it anymore and in May of 2013 I hung up my final sponsored t-shirt. Unfortunately, I had exhausted myself beyond repair when it came to IWearYourShirt. 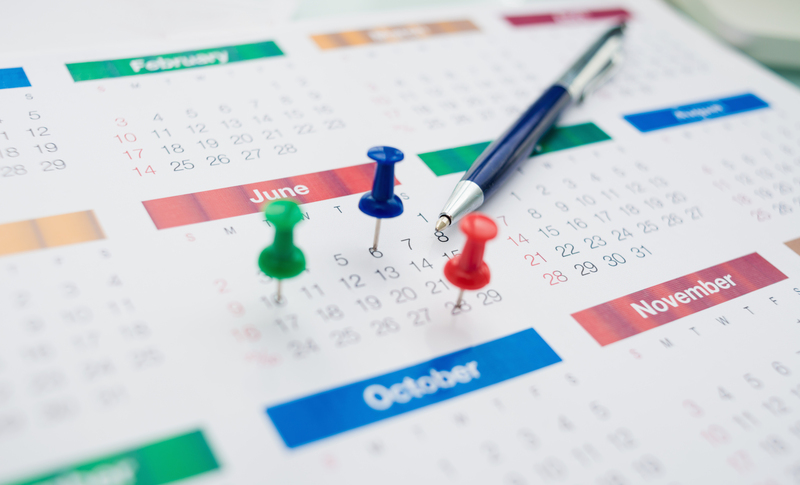 I’m sure you aren’t planning a 365-day-a-year business (please don’t! ), but no matter what you are doing, you need to take time to recharge your batteries and take a break. It’s easy to fill every hour with work, checking email, brainstorming, building, coding, etc. But if you don’t schedule breaks for yourself you’ll hit a wall that you simply can’t ever get over. Schedule time off from your business and be diligent about using that time to relax, enjoy time with friends and family, and just clear your mind. This doesn’t have to be a vacation in the Bahamas either. Staying off your computer and social media on the weekends is a great start. Why not take a road trip to see a friend in a nearby city? Take your family to a beach or lake. Go camping (in your backyard even). Don’t think about taking time off as an extravagant vacation, think about it as time to disconnect from your work. My friend Bryan gave me this advice a few years ago and it was eye-opening. If I could make all the money I would need for a month in just one week, I could easily give myself time to relax and disconnect (often). This doesn’t mean you have to work 600 hours in the first week of every month, it just means that you should focus on creating a profitable business that has low expenses (and that you don’t have to work yourself sick to be profitable). I can’t stress this point enough. You can absolutely be the cornerstone of your business (especially if you’re a service provider; designer, developer, etc), but you should put systems in place that don’t require you. Can you get a virtual assistant to handle your emails and give you a daily digest? Can you hire a part-time project manager that you pay hourly who can take care of customer service and planning issues? Can a family member take care of things like accounting, contracts, etc? I know all of these tips may not apply to people who work 9 to 5 jobs, but my biggest tip for you is to turn off your work after 5 pm. Don’t check email, don’t answer work calls, don’t even think about your job after 5 pm. This is one of the biggest advantages that employers take of their employees; they expect people to work around the clock, but only take payment for eight hours of work a day. You’re going to get more work done if you disconnect after work and recharge your batteries. Bonus 9-5 worker tip: If you don’t think you can do this, have a meeting with your boss. Tell them you’d like to try a two-week test of completely disconnecting at 5 pm each day. For two weeks leading up to this new schedule, keep a journal of how you feel and how much work you are getting done each day. Then, during the two-week experiment, keep another journal of the same things. After a month of trying both compare them. How did you feel? How did your work output change? If you can be a better worker, your boss will be happy. If you don’t think your boss will be up for this experiment you should quit your job (kidding! maybe…). Look at your work schedule and start planning to make time to disconnect. Be absolutely diligent about this “time off” and you’ll thank yourself later.